You can expect friendly faces and diligent customer service when you contact Waterhouse Chelmsford Volvo in Essex. We are a family-owned business and a tight-knit team that work closely together to help you in any way we can. You can call on us for guidance during the hunt for your next new Volvo car and be sure that every latest-generation model will be within reach. From the compact and compelling V40 to the slick S90 saloon and extravagant XC90 SUV, there is a car for most motoring styles. An alternative is one of our used Volvo cars which are just as exciting as new models but are offered at a lower price. Search our offers page for exclusive deals that add value. Sales isn’t where our input ends. 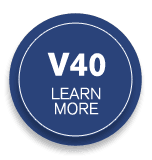 We operate a dedicated servicing site for Volvo maintenance, repairs, MOT testing and more. The very best tools and genuine parts allow us to fix almost any fault and make sure the work lasts. Your aftersales opportunities go even further to include Volvo Assistance roadside recovery, which gives peace of mind every time you start a journey. Our specialisms also include fleet development for the region’s businesses who we help save time and money. Whatever your individual needs are you can contact us with the confidence that we will do everything possible to meet them. The numbers you need to call our team on can be found on this page alongside the enquiry form. Head to the centre of Chelmsford when you visit in person using the A12 from Colchester or Romford and the A130 from near Basildon. Our dealership is located just off the A1016 on Baynes Place.